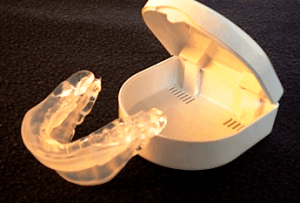 VitalSleep vs. ZQuiet Snoring Mouthpieces - Which is Best for You? If you are torn between VitalSleep and ZQuiet, you are not alone. These tend to be two stop snoring devices commonly compared because they do have some similarities, but they are more different than you might think. To learn more about each check out my VitalSleep reviews and ZQuiet reviews. 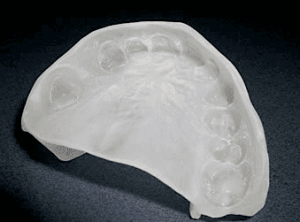 Material – Both mandibular advancement devices (MADs) are made of medical-grade material that contains no latex or BPA. The material is smooth and non-irritating. Flexibility – One of the main reasons these two devices are compared is because they are both described as being flexible. However, ZQuiet has Living Hinge Technology, so you can open and close your mouth, talk, and even drink water with it in. VitalSleep’s material is flexible, but the design isn’t it. You can move your jaw side-to-side though. Breathing Holes – Both mouthpieces have airflow holes to allow you to breathe through your mouth. Customization – To customize VitalSleep, you use a boil-and-bite method. ZQuiet is ready-to-use out-of-the-box, but some find the device needs trimming and filing. Adjustability – VitalSleep allows you to adjust lower jaw positioning by up to 7 millimeters using an included hex tool. ZQuiet does not adjust. Cleaning – ZQuiet’s smooth design makes it very easy to clean using a toothbrush and mild dish soap. VitalSleep has a lot of crevices to give an extra scrubbing to using toothpaste and a toothbrush. Guarantee – Both products are backed by a 30-day money back guarantee. VitalSleep also gives you free replacements for an entire year for any reason. Price – VitalSleep is $59.95 for one and $99.95 for two, plus $7.95 for standard shipping. ZQuiet is $79.95 for one, but you only pay $9.95 upfront. If you don’t return it during your 30-day trial then your card will be charged $79.95 when your trial expires. It should also be noted that these oral appliances are both made in America and cleared by the FDA. VitalSleep is a Doctor Trusted site and ZQuiet has an A rating with the Better Business Bureau.